Mostly Skateboarding: E-Waste Photo Essay. 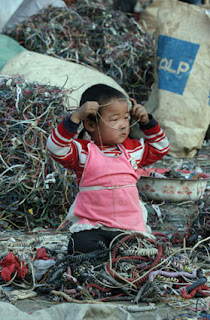 Take a look at this interesting photo essay about e-waste. Via: Coudal. For more images check out Edward Burtynsky's photos of recycling in China and read some more here. Good find Anonymous! Chris Jordan does some great work.